As demanding as chamber music, their improvised music is at times melancholy and thought- provoking, other times it vibrates and rolls with sweeping momentum. Mihály Borbély’s newest formation, often a trio, is equally at home in the folk, world, jazz and contemporary music genres. Borbély’s artistry has been recognized by Hungary’s Artisjus, eMeRTON, Knights Cross, Gábor Szabó and Liszt awards, and with Vujicsics Ensemble, the Kossuth Prize. 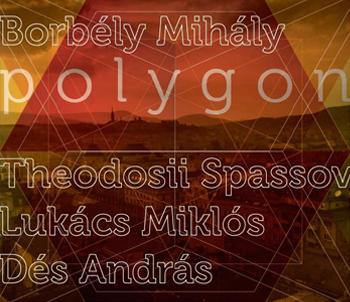 Cymbalom player Miklós Lukács’s extraordinary diversity and András Dés’s unique percussion have proved to be ideal partners for developing the trio’s special sound. Last fall at their concert recording (for “Polygon” 2016 – Fonó), their guest was world-famous Bulgarian kaval player, Theodosii Spassov. As demanding as chamber music, their improvised music is at times melancholy and thought- provoking, other times it vibrates and rolls with sweeping momentum. Engaging a variety of directions in jazz, characteristics from the folk music heritage of the Carpathian Basin and Balkans, and elements of contemporary music, it can be delicately transluscent or full of powerful rhythms. The unusual group of instruments makes an exceptionally varied and rich, while at the same time unifed, world of music.